You are here: Blog / Interior Design: Great Features in Mobile Art Gallery’s App can help! Interior Design: Great Features in Mobile Art Gallery’s App can help! The Mobile Art Gallery App is the perfect companion when looking use your Interior Design skills to redecorate or wondering how a piece of art would look in your home. 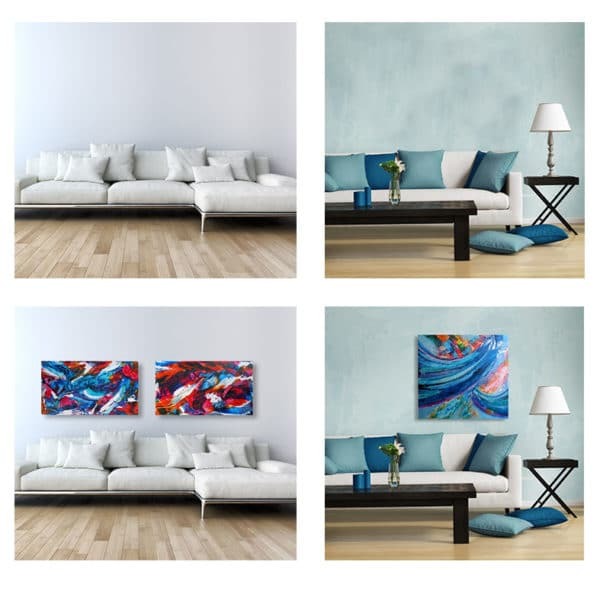 Loaded with Mobile Art Gallery’s in-stock artwork, you have the ability to photograph your wall and use your interior design skills to superimpose the artwork onto it, making sure your interior design skills are on point. You will be guided by the APP on how to set the scale of the room to make sure the painting sits at the right size on the wall. The app has a very helpful and straight-forward guide to help you. If you have already taken a photo of the wall you want artwork on, you can select that wall image through the App. Go through the ‘photograph my wall’ feature where you can choose either ‘Photograph my Wall’ or ‘Select from Photo Gallery’, to see the artwork on that wall. For interior design, you may want to design your own wall space, which the app allows for. The App has a selection of default rooms so you can place artwork in situ and/or create your own room. This can be done through changing wall colour and selecting a new floor surface. Perfect for anyone looking to give a room a complete make-over. If you have a size, price, or a colour theme in mind, the search feature can provide results for you. The search feature allows you to put those details into the search, giving you practical results. If you don’t have a preferred artist, searching by price, size, or colour makes finding the perfect piece of art for your home much easier! Another handy feature is the ability to add artwork to your “list”. This way you can keep track of art you like and have your art favourites available to you later. Most of all, why use this app? This app has made finding the perfect painting for your home that much easier and enjoyable. With other wonderful tools such as making a wish list and a helpful search engine, this means that when you come into the gallery or request a consultation, you will already have a good idea of the art that is available and what looks good on your wall. The app has helpful hints available while in use, but if you would like to read them click here. 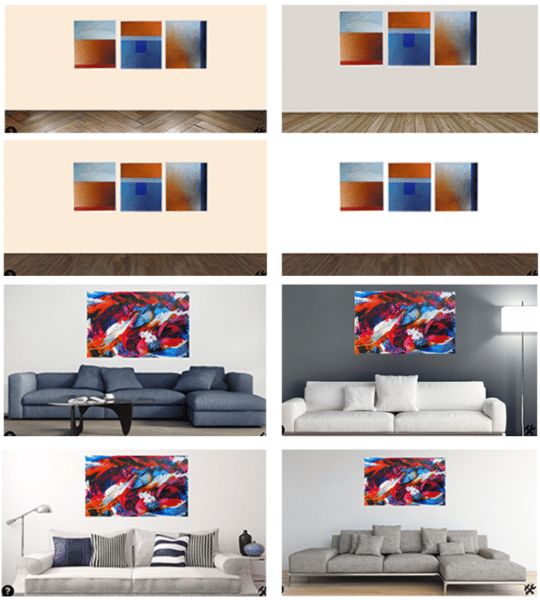 Remember, you don’t need to buy the art; Mobile Art Gallery have an easy renting system so you can have artwork in your home to try before you buy, or spruce your house up for a sale. There are options for renting long-term where you have the choice to swap out art at a later date to give your home a fresh new look. With the help of this app and the friendly and knowledgeable staff at Mobile Art Gallery you will find the perfect artwork for you and your home or office. For instructions check out the website: https://mobileart.co.nz/artapp/ or follow the help icon in the app found on the lower left side of the APP. For information on what you should know before renting art, click here!